People usually tend to take the most traveled route on a trip which tends to be the heaviest in traffic! The app, Waze, provides you with realistic traffic updates and direction recommendations from fellow travelers to help you reveal locals’ secret and clearer routes. FLIO is a great way to kill time at the airport. FLIO provides you with guides to over 200 airports around the world, informing you about the locations and reviews of restaurants, bathrooms, power outlet locations, and a variety of transport options in the airport. 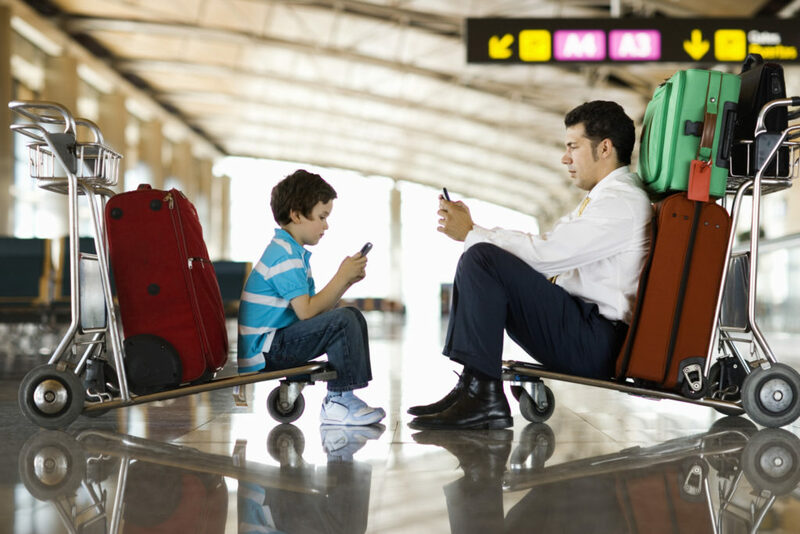 The app FLIO also connects you to the airport’s official WiFi with a security benefit, as well as, it provides you with discounts at airport vendors such as at shops and lounges. Are you planning to go on a road trip? With the app Roadside America, you can organize detours from 12,000+ recommended attractions in Canada and the United Stated. Purchasing the app Roadside America also offers a guide for one out of the seven regions in Canada and the United States; guides for other regions can be purchased for $1.99 each or in a whole bundle for $.5.99. Stay organized and manage your online ressies in one place. It is as simple as forwarding your hotel/restaurant reservations, your flight conformation, and more, to the app TripIt; in which everything is collided into an outline for each of your trips and the app updates you in time about any real schedule changes that occur. With an upgraded version of the app, you would be able to access information on open seats availability, alternate flights, and track your miles points as well as your reward program point in one place. Following the magazine, the app Afar is loaded with insiders tips and tricks such as, perfect day guides, city essentials, and more. This app will help you create amazing trips in over a hundred cities around the world; create a trip schedule that you can access even when you are offline, and share your adventures and photographs with others. Regardless if you were going on a long-haul trip or for a quick journey, the app Rome2rio provides you with information on how to get where you want to go, how long it will take, and how much it is going to cost. Unlike other apps, Rome2rio’s list is not limited to only planes, trains, and automobiles; it offers a variety of choices including, bus, flight, train, ferry, driving, mass transit, and a merging of options to help you remain within your schedule and budget.